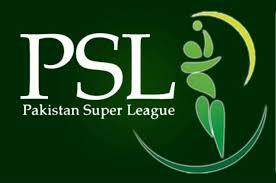 Pakistan Super League 2019 has been remarkable and record breaking season and there were number of games, which were played in National Stadium Karachi. 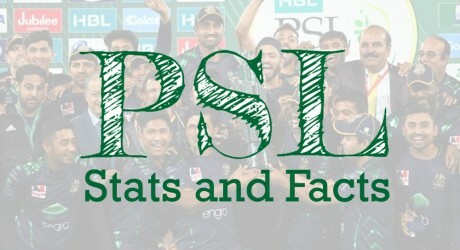 The fans liked to watch the live match in the stadium you can also find some interesting stats and facts of PSL 2019. Colin Ingram has scored highest of 127* in PSL, which is surpassing 117 by Sharjeel Khan for Islamabad United against Peshawar Zalmi on 21 February 2019. Quetta Gladiators has the highest strike rate of 8.63 runs per over in powerplay in PSL 2019 and it was well ahead of others. The average scoring rate in first six overs in PSL 4 remained 7.57 runs per over. Kamran Akmal is the only Pakistani player, who play 100 T20 matches hosted in Pakistan. The wonderful and most aggressive match of PSL 2019 was played between Islamabad United vs Lahore Qalandars, in which Islamabad United played first and scored 238 runs, which is the highest team total. In this match, total 16 most sixes were played in an inning. Lahore Qalandars was also responded aggressively and total scores of 427 runs were made by the both teams in a match between Lahore Qalandars v Islamabad United. Cameron Delport has made fastest 100 runs on just 47 balls and Asif Ali scored fastest 50 on just 17 balls. Faheem Ashraf also played well and he took career best 6/19 figure against Lahore Qalandars and he showed his best bowling. Peshawar Zalmi got the biggest runs victory of 61 runs against Karachi Kings in PSL 2019 and it was the 4th overall victory in history of Pakistan Super League. Muhammad Sami did hat-trick against Peshawar Zalmi and it was the only one in PSL 2019 and 7th overall. He is also the oldest fast bowler of PSL, who took hat-trick in T20s. In the batting side, some wonderful and highest partnerships were witnessed in HBL PSL 2019. The highest partnership of 157 runs was made between Livingstone & Babar Azam playing against Multan Sultans. The partnership of 137 runs was made between Kamran Akmal & Imam ul Haq against Karachi Kings. The partnership of 135 runs was made between Umar Siddique and James Vince against Lahore Qalandars. The partnership of 135 was also developed between Kamran Akmal and Imam Ul Haq while playing against Islamabad United.